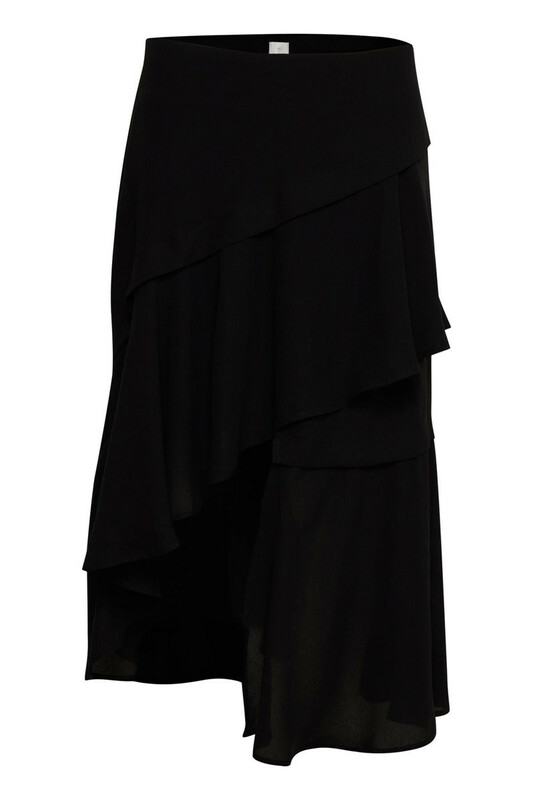 Mirra Skirt from Culture is a stylish and elegant skirt of asymmetrical length. 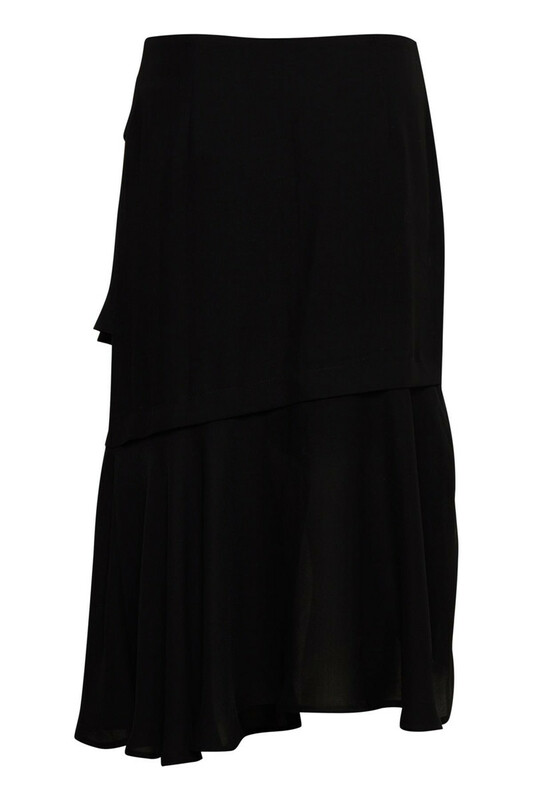 It has a regular fit and is short mid front and long in the sides and back. 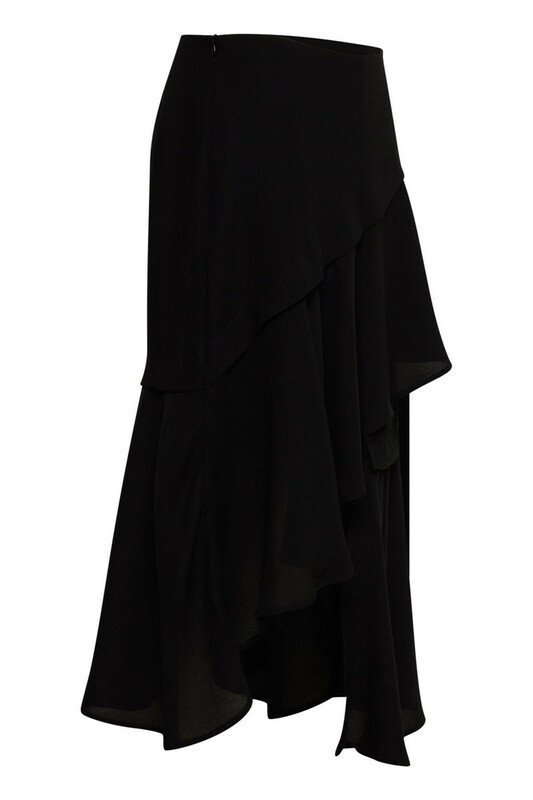 The asymmetrical cut gives the skirt a fantastic look.